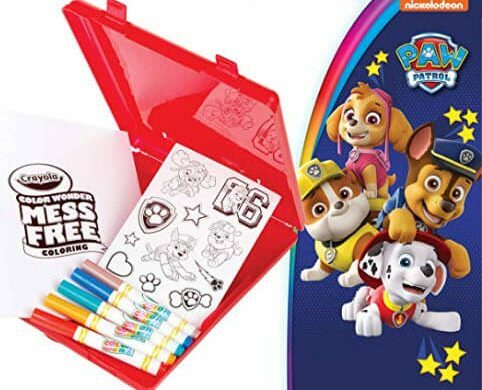 Paw Patrol gift set: features 24 Paw Patrol coloring pages, 5 color Wonder markers, 4 sticker sheets, and a plastic storage case. Color Wonder markers: mess free markers only appear on special Color Wonder paper and sticker sheets. Mess free markers: The Crayola color Wonder markers won’t stain skin, clothing, or furniture. Travel activity: a fun travel activity set that won’t leave a mess behind in your car! Diy Paw Patrol stickers: kids will love coloring in the included stickers and using them to decorate their storage case any way they like! Safe & nontoxic: gift for boys and girls, ages 3 & up.